AUSTIN, Texas -- At a university where no expenses are spared on athletic endeavors, the new UT Golf Club is no exception. The 7,108- yard, par-71 championship-caliber golf course was created by Bechtol Russell Golf Design. Built in the Texas Hill Country, the course overlooks Lake Austin and borders a natural wildlife preserve, offering challenging shots coupled with views that rival the best in Austin. 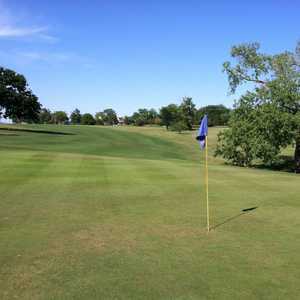 In the land just west of Austin carved by the Colorado River and its tributaries, the towering oaks, clear springs, limestone cliffs, gnarly ravines, wildflowers, and clean, healthy air, provide the charming backdrop of a golf dream that has been 20 years in the making. Perched atop the rugged hills between Lakes Travis and Austin, the new University of Texas Golf Club at Steiner Ranch might be Texas' most pristine spot for golf. Spearheaded by distinguished "Teasip" alums Mike Myers, Bill Duvall, and Taylor Woodrow, whose passion, pocketbooks, and love for the University of Texas portray the passion that alums pour into their alma maters, the UT Golf Club bleeds orange -- a superior facility that pays tribute to the rich golf legacy established by legends such as Harvey Penick, Ed White, Morris Williams, Betsy Rawls, and former major champions such as Ben Crenshaw, Tom Kite, Justin Leonard, and Mark Brooks. From a tradition rich school with vast wealth and a reputation for spending extravagantly on its athletic program, every resource has been harnessed to make this a golf Mecca like no other. After the property it starts with General Manager / Director of Golf Steve Termeer, a former pedigreed UT golfer from Conroe (two state 5A championships, 1991 BBA in Finance), who is using his prior experiences as GM/CEO of both Austin Country Club and Barton Creek, as well as his university ties to help drive the project from start-up, manage the membership program, and work closely with university officials, UT golf coaches, and UT PGA Tour and club professionals. Even though the university declined the opportunity to own and manage the facility, that doesn't take away from the heavy integration of orange-blood spirit. Head football coach Mack Brown is the Chairman of the Board, and the UT brand is everywhere. From burnt orange golf carts with the longhorn logo, yardage markers with the longhorn steer head, and former UT legends honored on every tee, the club makes the most of its 50-year licensing agreement with The University of Texas System. Those Hook em' themes even carry over to the course architects -- Roy Bechtol, a former UT baseball player, and Randy Russell, Austin's former director of sports and designer of the acclaimed Roy Kizer course. In recent years the duo has received acclaim by creating a number of big-time routes, including The Ambush at Lajitas, The Golf Club of Texas (with Lee Trevino), The Club at Comanche Trace Ranch (with Tom Kite), and The Golf Club at Star Ranch. And their new 7,200-yard, par-71 layout has everything it needs to stand the test of time and ultimately become one of the nation's premier courses. Long and mean from the tips to challenge the heavy hitters, it is imminently playable for the average golfer from the forward tees. "We wanted enough length to challenge the big hitters, but there are four more sets of tees to accommodate every skill level", said Termeer. This falls in line with the Bechtol-Russell philosophy of limiting ridiculous difficulties and focusing on strategy to enhance playing pleasure. Because this property at Steiner Ranch had been slated long ago to become a golf course, the longtime Austin residents had plenty of time to route the course and tap into the land's true architectural potential. An hour spent with Termeer cruising the course, slated for a November opening, offered the opportunity to see a mostly grown-in track, but also provided the chance to see a course still under construction, giving a good feel for what the designers had to work with to sculpt their "art". Throughout the process, the design team worked closely with Termeer, UT's ex-golfers, and the existing UT golf coaches to plan the course. The front side opens with several of the easiest holes on the course, allowing golfers to get a feel for the terrain and ease into the round. 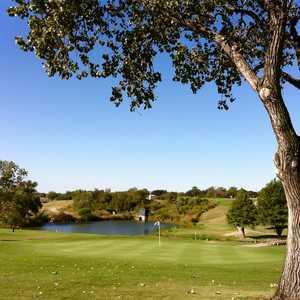 The stained concrete paths, immaculate landscape planning, more than 350 feet of bridges spanning deep ravines, unique, finger-like bunkering, and the occasional wild turkey, all help make the course an aesthetic success. The view from the No. 4 tee box offers the first of many spectacular hill country vistas -- this one especially unique due to the image of Houston Astros' Jeff Kent's house. The first great hole on the UT Golf Club's front side is the par-4, 460-yard No. 5, which rolls downhill to the left, then forces a difficult blind approach up the slope. Next, No. 6 is notable for another forced uphill carry on the approach, and holes 7-9 really strong-arm a golfer to get it in gear and play well. No. 7, which according to Termeer was the most challenging hole to build due to the intricacies of the terrain and landscape challenges, is a 431-yard, par-4 marvel. Next is the nasty 237-yard, par-3 No. 8, notable for the natural rock outcroppings, followed by the irksome 580-yard No. 9, which rolls toward the clubhouse offering more great panoramic vistas. It's more of the same on the back, where the track routes along a protected wildlife area and offers views of Michael Dell's impressive property and the nearby lakes. Aside from the panoramas, the highlight of the back nine is the challenging stretch of finishing holes, which will surely make for good theatre during tournament competitions. "We were especially careful to make it gallery friendly, paying particular attention to how the next tee follows the previous green, and the impact on tournament fans being able to easily see the action," Termeer said. "The last few holes will be exciting, and it wouldn't surprise me to see a several shot swing determine the outcome." The 248-yard par-3 No. 16 is the first of these holes, difficult because of its length and the fact that it plays downwind, making pin-hugging birdie chances rare. No. 17 is daunting from the tee due to the prominence of fairway bunkers. And the par-4 No. 18, which at first glance appears to be miles away from the clubhouse, plays almost 500 yards downwind into a green snuggled next to several beautiful water features. In fact it's so nice here that it's difficult to imagine how an 18-year old budding golf star shopping for a scholarship might turn down the opportunity to take advantage of this "heaven-on-earth" for UT golf teams. UT students have made it a long-standing tradition to make time for the 17-mile trip from campus to enjoy the beauty of Lake Travis, but now the "student-athletes" have been blessed with a golf facility like no other, and the charms of co-ed lake afternoons are practically in their backyard. Even so, it shouldn't be difficult to focus on golf. Aside from the immaculate, modern layout that is sure to host the NCAA Championships before the decade is over, the facility hosts the world's foremost collegiate golf "study hall" and countless other state-of-the-art amenities. Among the features are a workout facility, as well as a driving range and practice facility that is totally separate from the member practice areas, highlighted by one 7,500 square-foot putting green and three additional 1,500 square-foot surfaces that each consist of different grasses. "As we raise funds and collaborate with the UT golf coaches, we'll continue to improve upon the practice facilities," said Termeer, as he pointed out the practice fairway bunker adjacent to the driving range that was suggested by former UT boy and budding PGA Tour star David Gossett. Eventually the build-out will include an academic wing with internet access and everything a student-athlete could possibly ask for. In addition to the locale, impressive course, and countless other first-class amenities, one of the most unique aspects of the club is the membership structure, which allows for regional memberships that provide the opportunity for diehard Longhorn alums to get involved, despite the fact that they might live hundreds of miles away or even out of state. All told, there are three classes of membership: local, regional, and national. Both the local and regional are full golf, full family programs, the only differences being the initiation fee and the boundary requirements. Local memberships are only offered to those who live within a 75-mile radius of Austin. The national membership, known as the Burnt Orange, is more affordable and offers 10 rounds of golf per year for those who visit Austin less frequently. 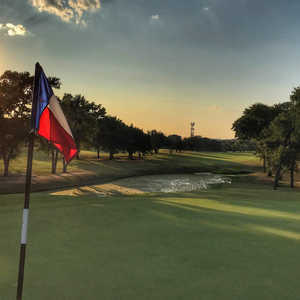 The estimated schedule of fees indicate that the club may eventually become the best private golf value in Texas, with initiation fees surprisingly affordable, monthly fees not much more than an expensive night out in Austin, and the guest green fee with cart easily paid with a $100 bill. And it's important to note that being a UT alum is not a requirement for membership. Yes, even alums of the Texas Agricultural and Mechanical College are welcome here! When asked if students would be allowed access to the course, Termeer seemed determined to make that a possibility in the future, "I'm sure that because of our close association with the university, we'll be able to work something out, either in the form of student days or by hosting an intramural tournament." For now, only students whose immediate families are members will have access to the course. Another interesting idea Termeer mentioned involved an annual home-and-home grudge match with the agricultural school in College Station, "The stakes would involve the losing team flying the opposing school's logo flag on the 18th green, but I can't imagine it staying up for too long." For membership information, contact Dana Meserole at (512) 266-6464. Haciendas are planned for future developments, making it an appealing stay-and-play option for Austin-bound road-trippers with access to the club. Across Highway 620 lies the lakeside Oasis, famous as Texas' best spot for sunset viewing and cold adult beverages.